Trump’s Immigration Ban Doesn’t Include Country of 9/11 Hijackers! President Donald Trump’s executive order barring immigrants from seven majority-Muslim countries from entering the US doesn’t include Saudi Arabia, the country where most of the 9/11 attackers came from. In fact, the executive order doesn’t apply to any of the countries where the 9/11 attackers were from. Egypt, the United Arab Emirates, and Lebanon were also left off the list. 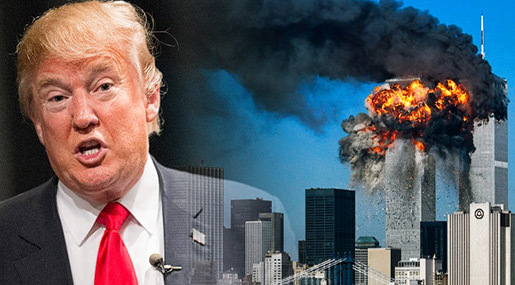 Trump also cited the September 11, 2001, terrorist attacks on New York City and Washington, DC, directly several times in his executive order. Fifteen of those 19 foreign nationals were from Saudi Arabia. Osama bin Laden was born in Saudi Arabia, and his family had strong connections to the Saudi royal family. The rest of the attackers were from Egypt, the United Arab Emirates, and Lebanon. Saudi Arabia in particular, however, has a long history of exporting Wahhabism… that has been blamed for fueling extremism around the world. Trump called Saudi Arabia the “world’s biggest funder of terrorism” in 2011. On “Meet the Press” in 2015, Chuck Todd asked Trump why the US should have diplomatic relations with Saudi Arabia if the country funded terrorism. Saudi Arabia has been a major US ally for decades. From 2011 to 2015, Saudi Arabia has been the top destination for US arms exports. Trump also has a personal financial link to Saudi Arabia, as The Times noted. The Trump Organization registered eight companies in Saudi Arabia in 2015. White House press secretary Sean Spicer noted over the weekend that the seven countries included in Trump’s executive order were first flagged by the Obama administration as “countries of particular concern” for visa screening. Trump Lets Saudis Off His ‘Muslim Ban’. Who are the “Real Sponsors of Terrorism”?